In basketball, the fourth and final quarter is known as “winning time.” With less than three weeks until the election, it’s winning time for our progressive candidates. Wealthy donors are pouring millions into Congressional races to keep Trump Republicans in power. 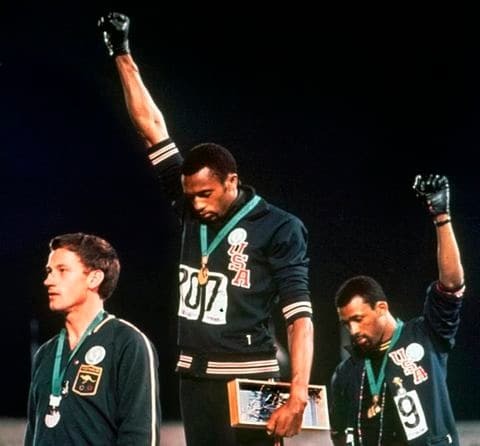 But campaigns don’t win by buying up billboards. They win by talking to actual voters. There is nothing more important these next few weeks than getting out the vote for our local candidates—by knocking on doors or making calls. 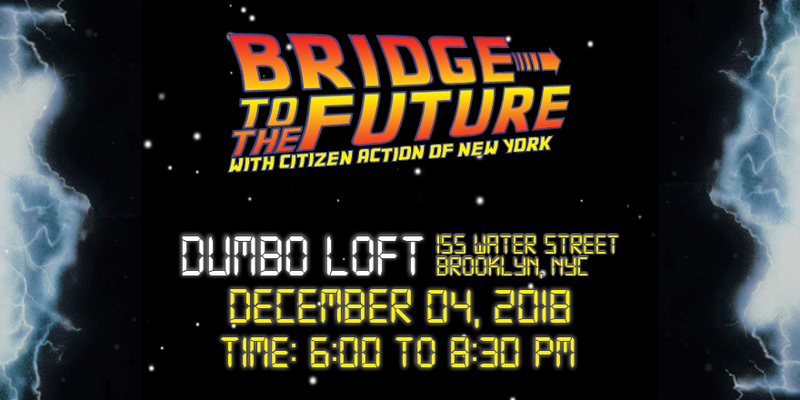 Connect with your local organizers to learn how you can get involved. Paul Ryan stopped in Binghamton to attend a big money fundraiser for Rep. Claudia Tenney. Tenney has been one of Trump’s most vocal supporters in Congress. 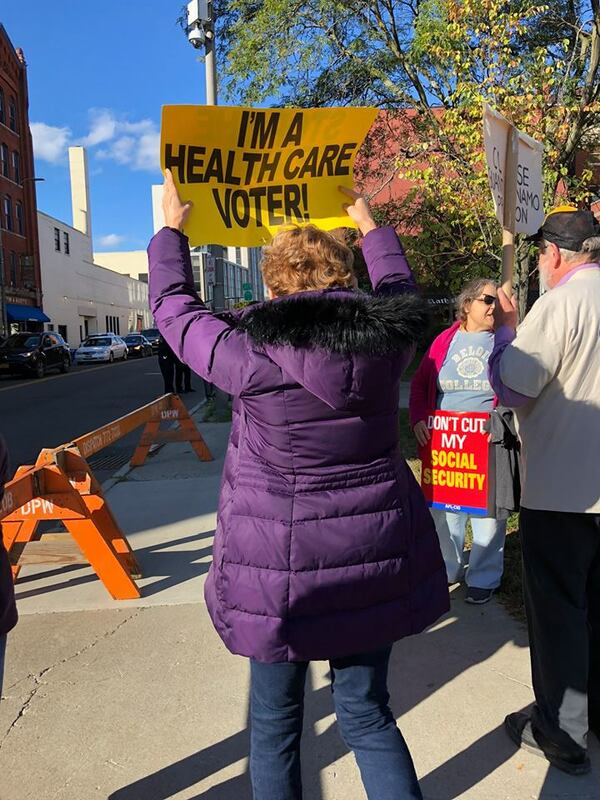 Dozens of Citizen Action members protested outside the event, calling out Ryan and Tenney for slashing taxes on the wealthy and conspiring to take away health care from working families. 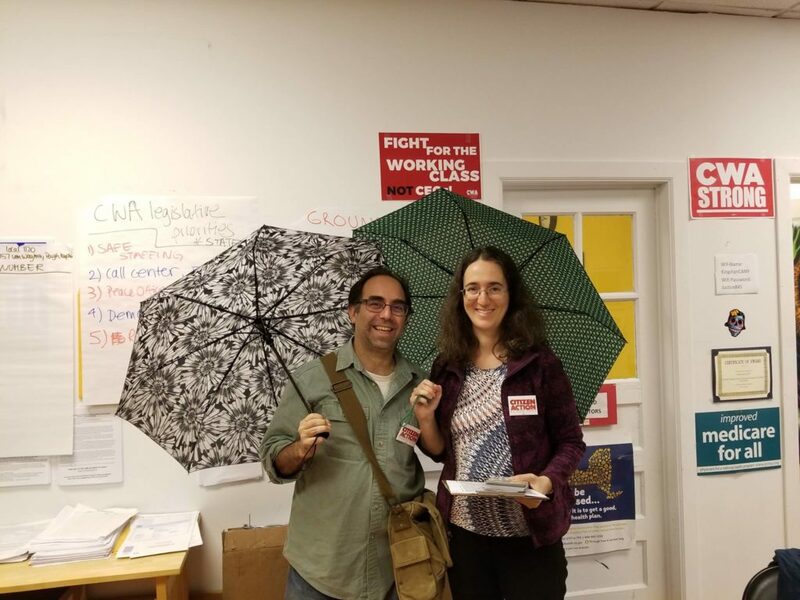 Rachel and Neal traveled from Massachusetts to Kingston to knock on doors for Antonio Delgado and Juan Figueroa (in the rain!). Our organizers in Kingston have been working at full tilt to turn out the vote for Antonio—and oust Trump Repubican John Faso. 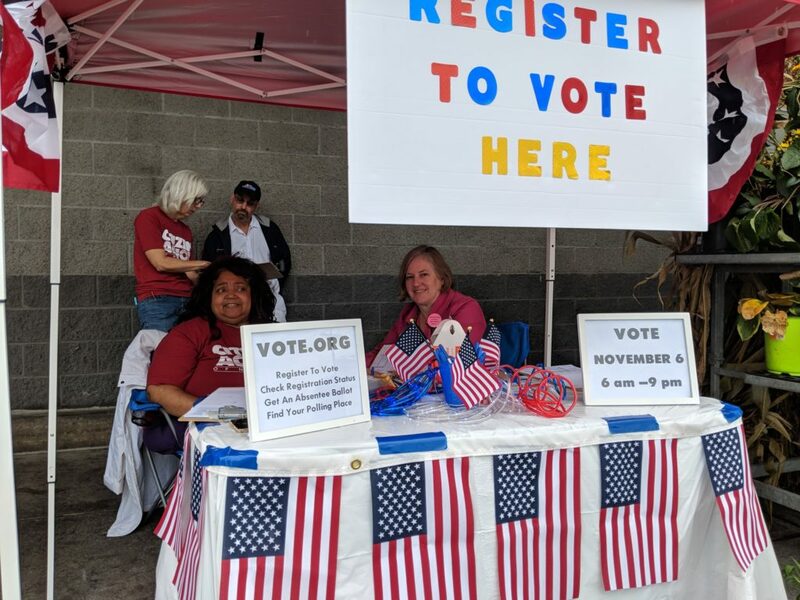 Leaders with our Central New York chapter made a final voter registration push before the deadline last week.